The immersive cinema brand will reveal the world of the iconic British spy in May 2019. 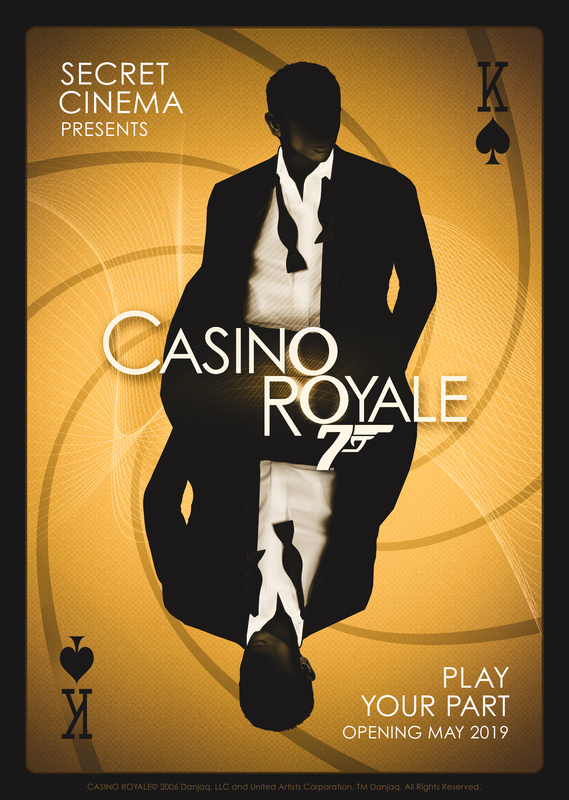 Secret Cinema will create an immersive experience based on Casino Royale, the 2006 James Bond film directed by Martin Campbell, for its next show. Set in an undisclosed indoor London location, "Secret Cinema Presents Casino Royale" will open on 29 May and run for five nights a week into the summer, with an estimated audience of 1,500 each night, making it the company’s largest indoor show to date. Ticketholders will be assigned a character identity, belonging to either Q Branch or M Branch as part of "Operation Wild Card", and will be sent a dress code and training suggestions. The creative direction for the experience will be led by founder Fabien Riggall, along with new hires Kevin Fitzmaurice (group creative producer) and Angus Jackson (creative director), both formerly of the Royal Shakespeare Company. Jackson said: "We’re thrilled to have the opportunity to bring to life such an iconic film franchise and character. Casino Royale is a rich territory for us to explore, from the characters to the plot and locations. Our audience will be given the opportunity to understand what it takes to embody modern espionage – bringing them closer to the Bond experience than ever before." Secret Cinema is working with The & Partnership for advertising and sister agency M/Six for media planning and buying.